Today’s homeowners are looking for one trusted company to do their home repairs. That company is Sears – we are the nation’s largest provider of home services, with more than 13 million service and installation calls made annually. We have been in business for over 125 years and our brand name is one of the most recognized and respected brands in America. It’s no wonder that America’s homeowners look to Sears as their 'trusted advisor'. Now you can be part of the Sears story. Sears has been franchising home services businesses since 1998. We currently have over 325 franchise locations across the country offering expert carpet cleaning, air duct cleaning, garage door solutions and maid services. Sears Handyman Solutions is our newest franchise service. 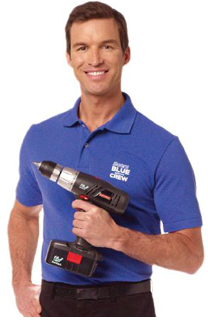 Sears Handyman craftsmen are knowledgeable, background-checked, uniformed professionalswho can help with most home projects such as plumbing, carpentry, drywall, electrical needs, flooring, painting and much more. We provide accurate no cost, no obligation, in-home proposals. 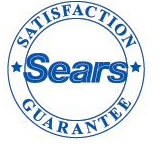 And in all our work, the homeowner can depend upon the Sears famous 'satisfaction guaranteed' promise. These factors help Sears stand out from the competition. All of our franchisees participate in the Sears credit card system (with special financing offers available), as well as the customer loyalty program "Shop Your Way Rewards." Come join our winning team and let the Sears brand name work for you!